The Drive Clean test determines if a vehicle meets Ontario emissions standards. If it doesn't, a vehicle owner must make necessary repairs before the vehicle is allowed on the road. The Province of Ontario made good on its promise to eliminate the $30 Drive Clean emissions test fee for light-duty vehicles. It also followed through on its pledge to no longer require pre-owned light-duty vehicles less than seven years old to undergo the test. The new rules took effect April 1, 2017. Automotive News Canada was first to report on the changes back in November 2016. The Drive Clean test determines if a vehicle meets Ontario emissions standards. If it doesn’t, a vehicle owner must make necessary repairs before the vehicle is allowed on the road. All light-duty vehicles licensed in Ontario will still require their first biennial Drive Clean test for licence-plate renewal at seven years old. However, vehicle owners will no longer have to pay the fee. Instead, funds to support the program will come from the government’s general revenue. Drivers whose vehicles do not pass the regular Drive Clean test will have to pay for any subsequent repairs and a retest. The Trillium Automobile Dealers’ Association (TADA), which represents more than 1,000 new-vehicle dealers across Ontario has been calling for significant changes to the Drive Clean program for years. The association viewed the fee, which has generated $5 million for the government, as just another tax on car buyers, who already pay for vehicle permits ($20), plates ($45) and yearly plate stickers ($60 in northern Ontario, $120 in southern Ontario). Auto dealers have long said it never made sense that a two-year-old used car or demo sold at a dealership needed a test but a six-year-old car that was bought new and never changed hands did not. The Used Car Dealers Association of Ontario (UCDA) had also been pushing for the elimination of Drive Clean tests on the sale of used vehicles for years. TADA Government Liaison Frank Notte on Friday reiterated the association’s previous comments on the changes. 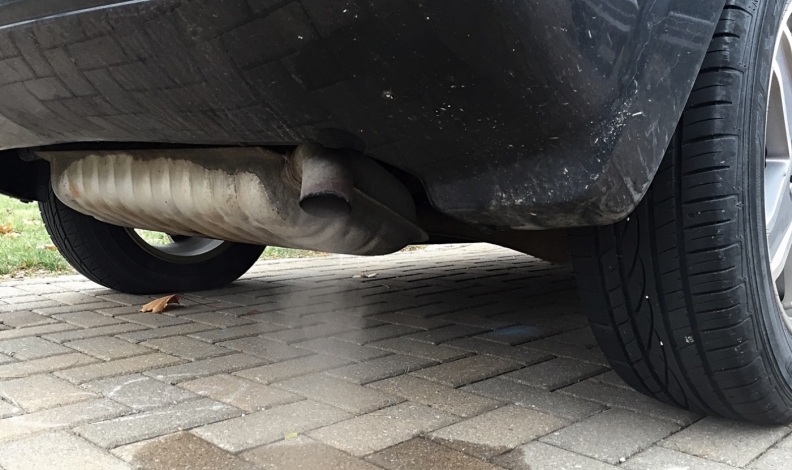 “Having to conduct an emissions test on a demo or late model year used vehicle wastes time and money, especially since these vehicles are essentially brand new and under warranty,” spokesman Frank Notte said in an email. "The announcement is a good first step towards cutting red tape in the Drive Clean program. The Trillium Automobile Dealers Association will continue to advocate for the complete elimination of the program now that virtually every car on the road passes the test."